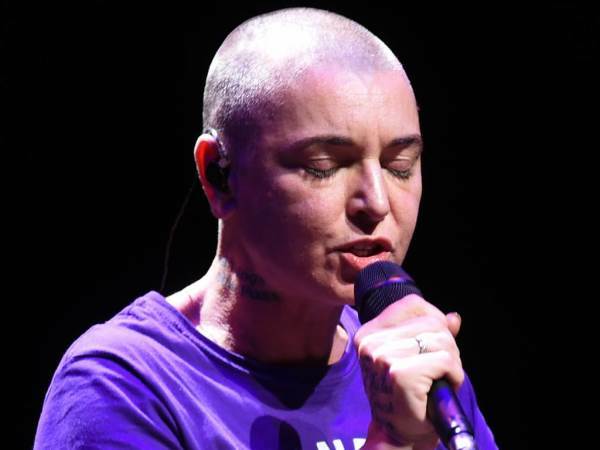 Sinead O'Connor has been confined to a sober-living facility after quietly seeking rehab help for an addiction to marijuana. The Irish singer, who has battled a string of mental health issues in recent months, has revealed she's committed to kicking her dependency after being a "weed head" for three decades in a post on Facebook. She wrote: ''I was in rehab by the way. For thirty years of being a weed head. Can proudly state I now have clean p**s and will be in a sober living environment for the next year. "It's more like a home environment. Only its complete with support system. Which is a first for me. Proud of self. Wasn't easy..."
Sinead addressed the drama from the past year, during which she attempted suicide and was hospitalised, and later went missing after failing to return from a bicycle ride. She added: "0-18 years in Ireland and then 34 years in music business and the s**t that's gone on for the last year... it's a miracle I wasn't on every drug in sundry." But the Nothing Compares 2 U singer confessed she is not yet in a great place after a difficult hysterectomy and hormone replacement, stating: "Still feeling so miserable from surgery. I don't recommend it. Lost awful lot of blood as liver got cut accidentally so am weak as F**k.
"I do recommend hormone replacement. Am Different person. Stupid Irish doctors never recommended it to me all year but I finally got it two weeks ago in US and am me again. Thank you to doctor here in America. And thank you to my surgeon." But she then added: "Gotta go to emergency. Liver all f**ked and killing me. Can't breathe properly it so sore. Am posting as am lonely. Story of life. Wish was not so alone in world. Gotta be worth something to someone after all these years and after all I given. Am so shocked to be so all alone."